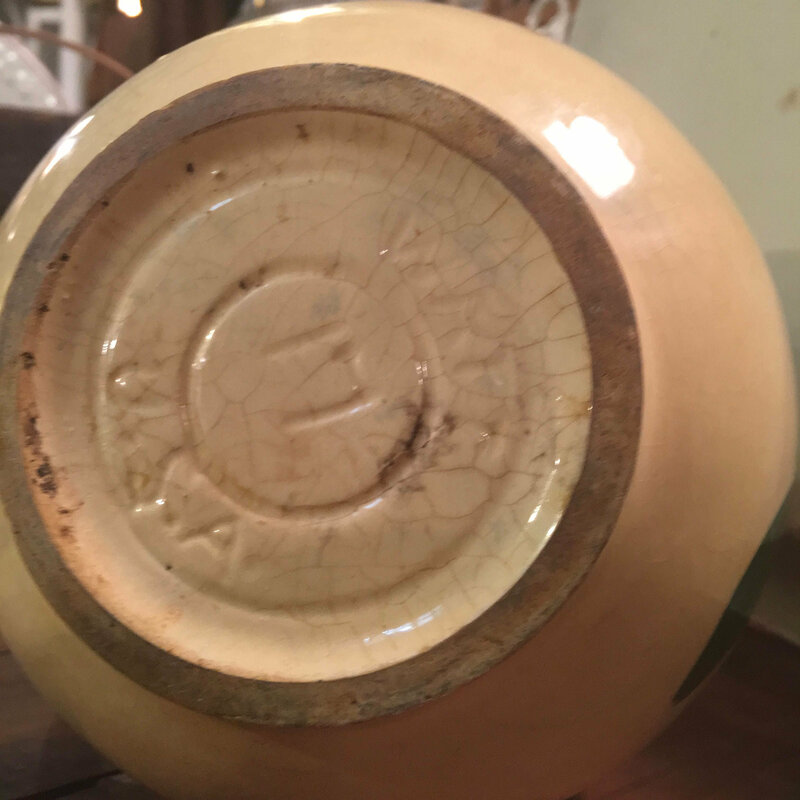 Watt pottery was officially founded in 1922, although members of the Watt family were involved in the industry long before that. At first, they made utilitarian yellow ware pieces for the kitchen like most of the other Ohio potteries. But Watt soon distinguished itself with hand painted designs, like the Starflower pattern seen here. 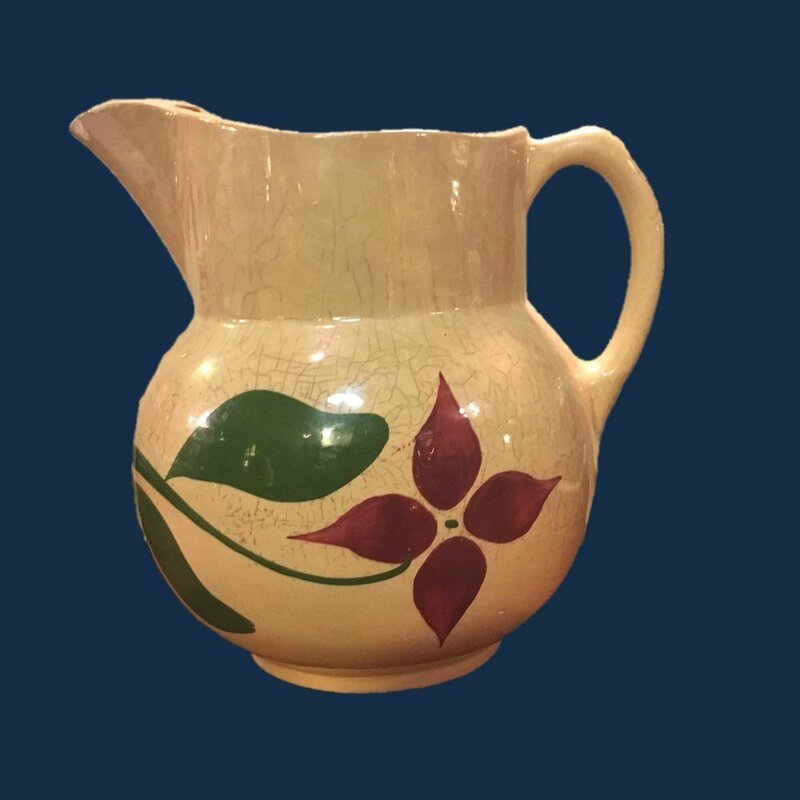 These pieces remain collectible even today, because the hand painting makes each one unique. This one is shape #17. Speaking of uniqueness, that's one of the reasons I so love imperfect vintage pieces like this one. 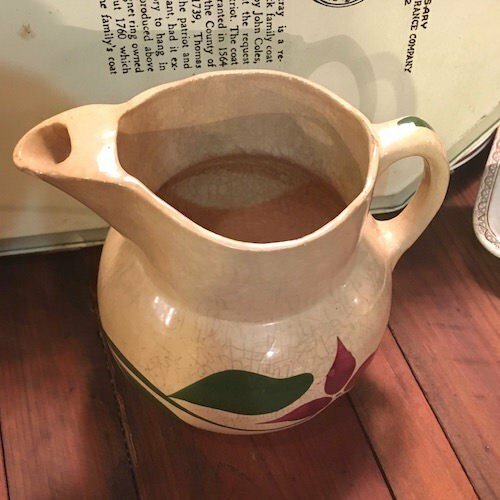 There are paint drips coming off of the flower, an "error" dating back to the time of manufacturing (likely 1950 or so), and there is considerable crazing, plus one chip on the spout. 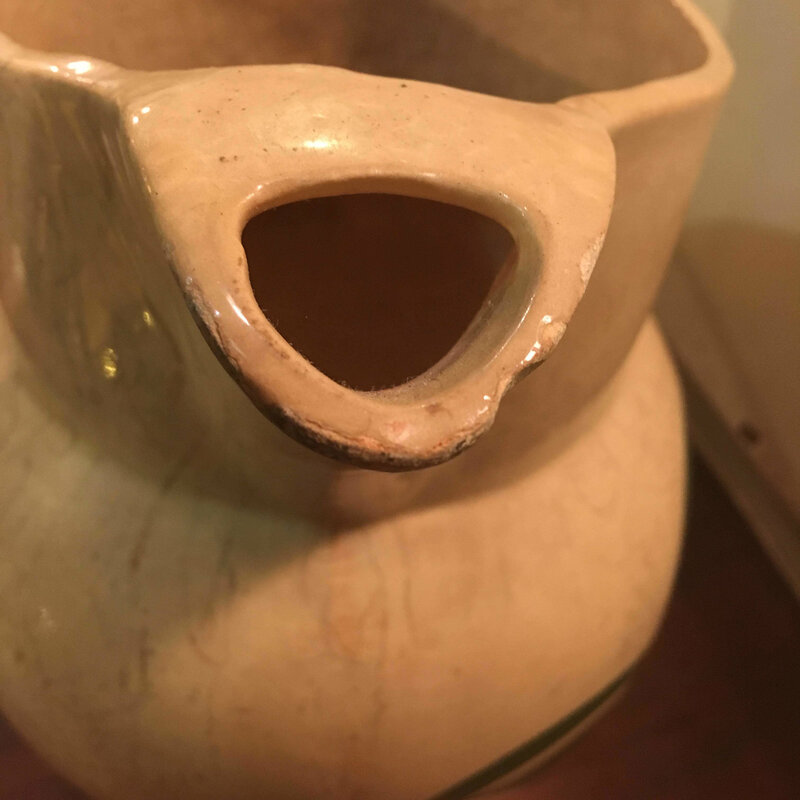 It will still hold liquids, though many people prefer to use old pieces like this as decorative items, vases, or flower pots. CONDITION:Aged appearance, chip on rim, crazing.